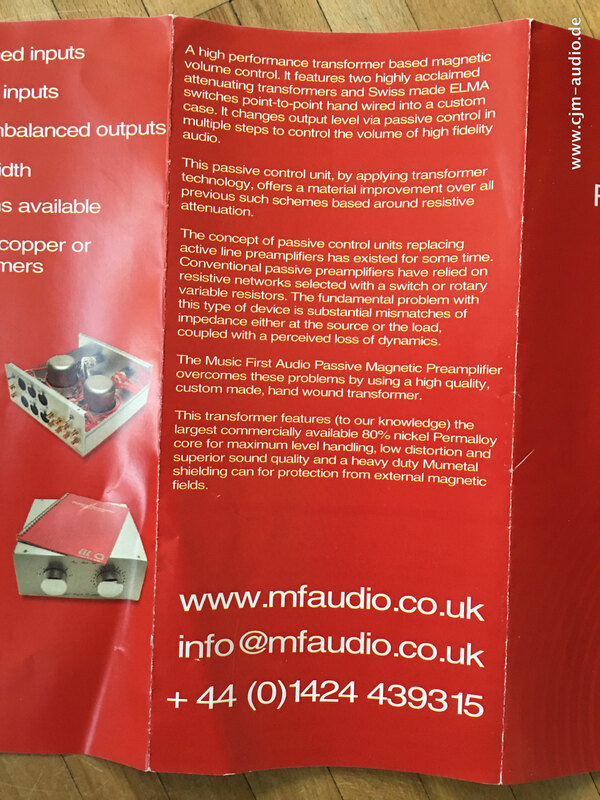 Ein ganz besonderer passiver Transformer Vorverstärker von der englischen Manufaktur Billington&Stevens. Einer der besten Vorverstärker der Welt. Ein gleichwertiger aktiver Vorverstärker kostet das fünffache. Deutliche klangliche Vorteile, besonders bei leisen Lautstärken, durch perfekte Impendanzanpassung und galvanische Trennung von Quelle und Endverstärker. Sehr guter Zustand mit nur zwei, drei winzigen Gebrauchsspuren. 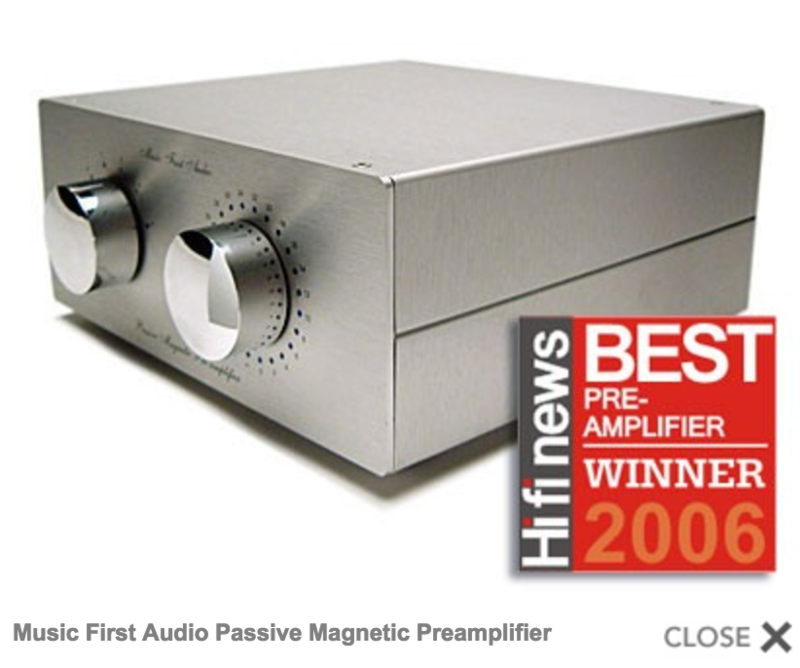 Passiver Transformer Volume Control Vorverstärker des britischen Herstellers Music First Audio. Es handelt sich bei diesem Model um die sehr seltene und klanglich überlegene Version mit Silber Übertrager und Silber Verkabelung. 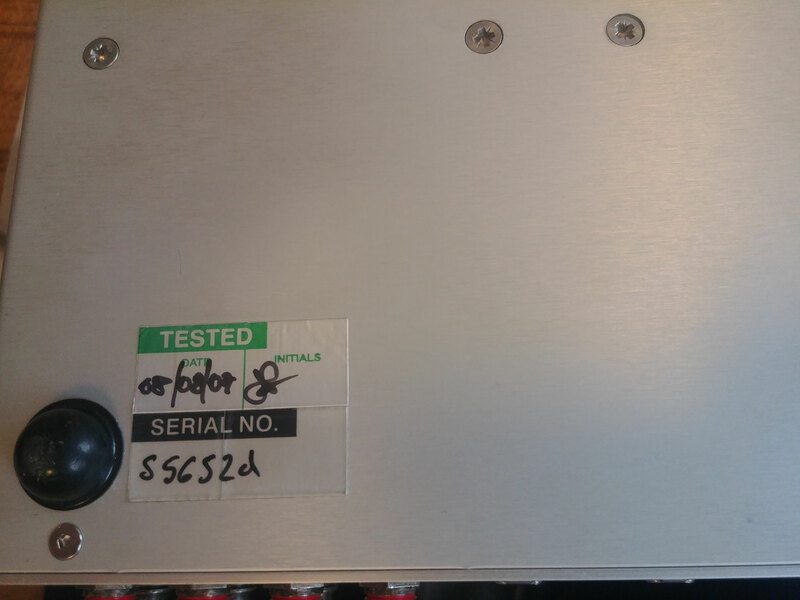 Der Klang ist mit den besten und teuersten aktiven Preamps vergleichbar. 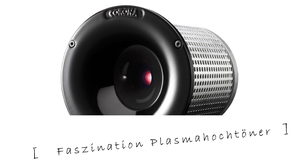 Technisch einwandfrei, sehr geringe Gebrauchsspuren. 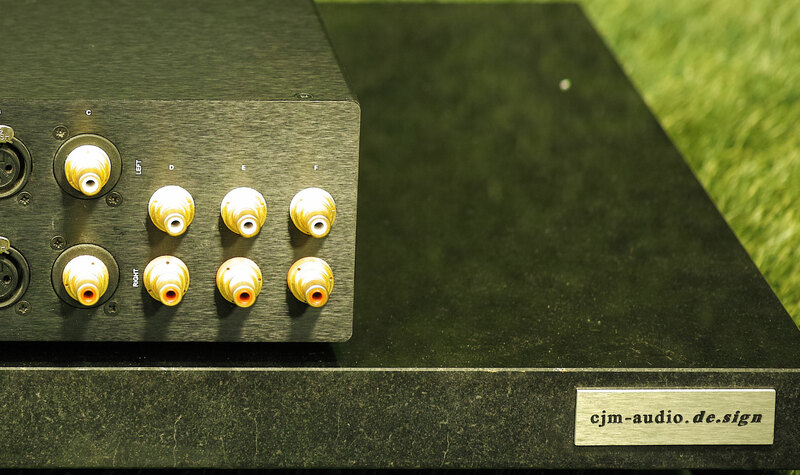 An exceptional and exciting passive preamplifier. 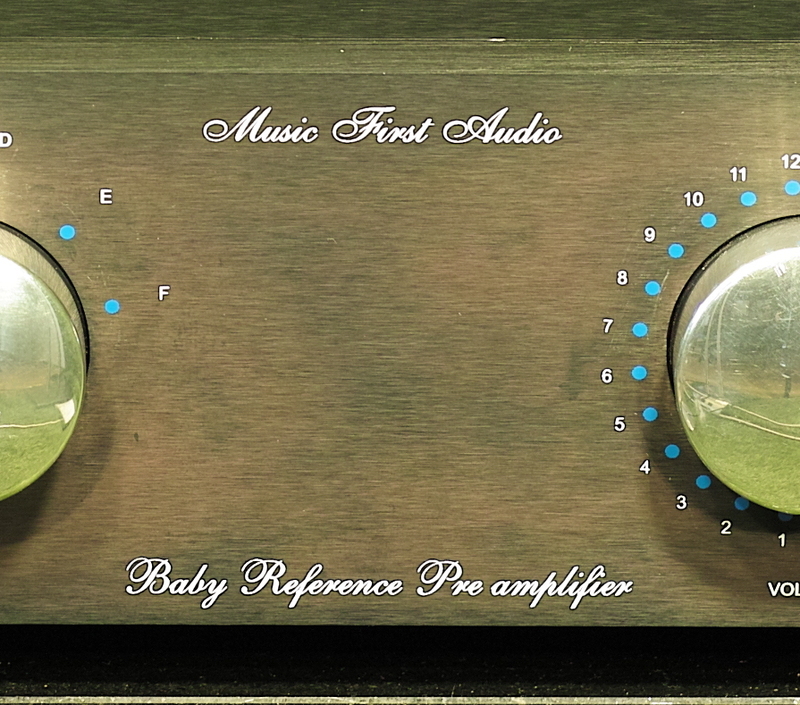 The Music First Audio preamplifier works differently to most designs in that it uses multi-tapped transformers rather than resistors as a volume control. 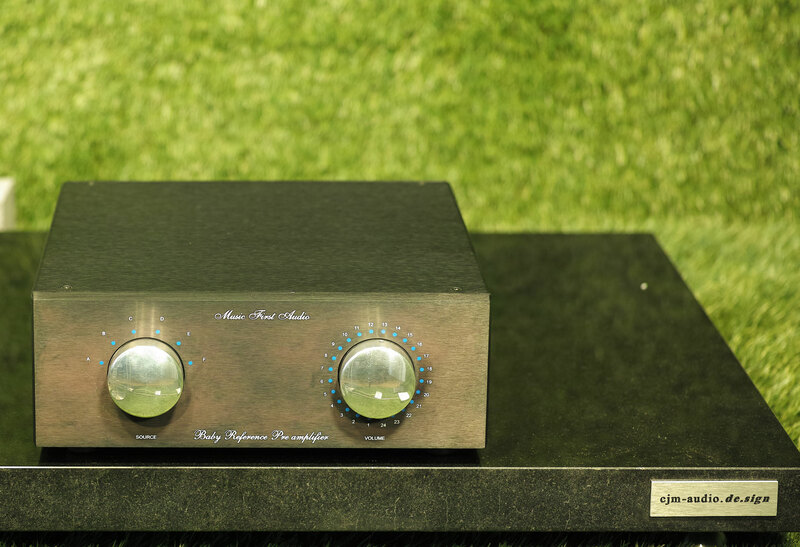 Unlike conventional pre amplifiers which use potentiometers for attenuation the Music First Audio preamplifier uses a transformer instead, which has the benefit of isolating and impedance matching sources and power amplifiers as well as breaking ground loop and reducing noise. 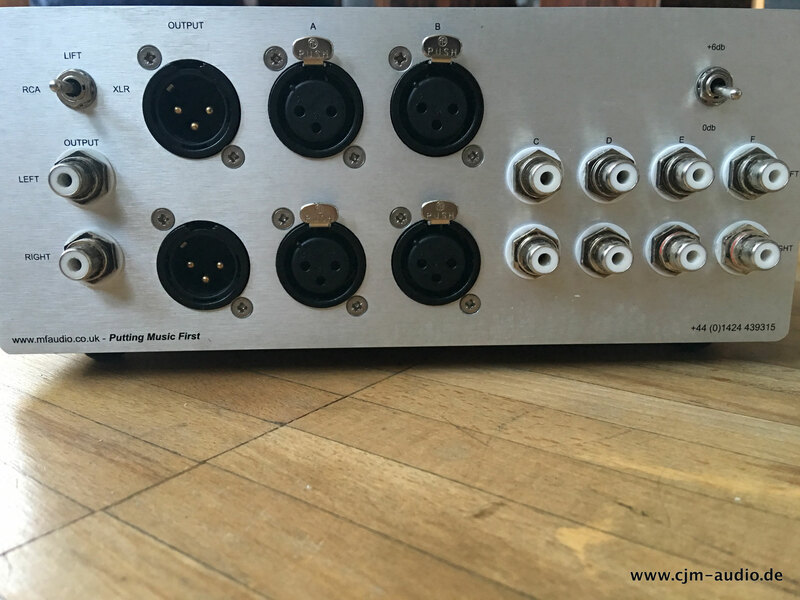 The volume control is basically a high grade Elma 20 position switch which connects different transformer windings via hard wired, silver plated Teflon covered wire. 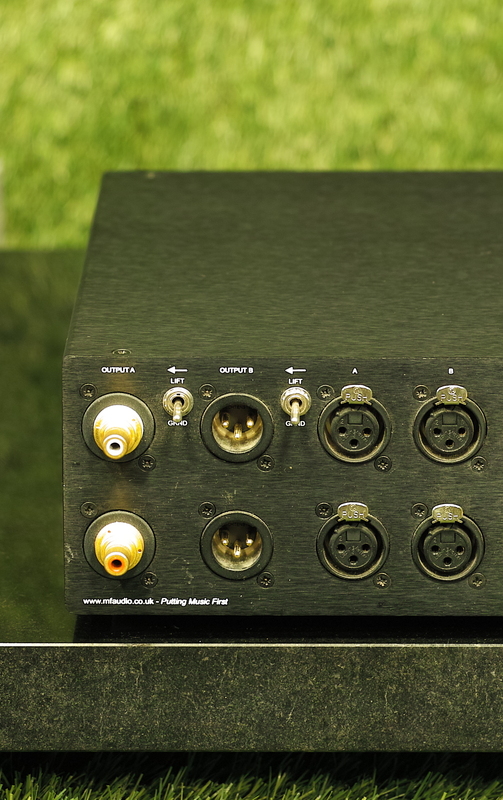 It features 6 inputs, two of which are balanced XLR connectors and the other four are standard phono RCA connectors. Output is via single ended or balanced and there is also the facility to add 6 dB of gain and lift the ground to reduce noise. 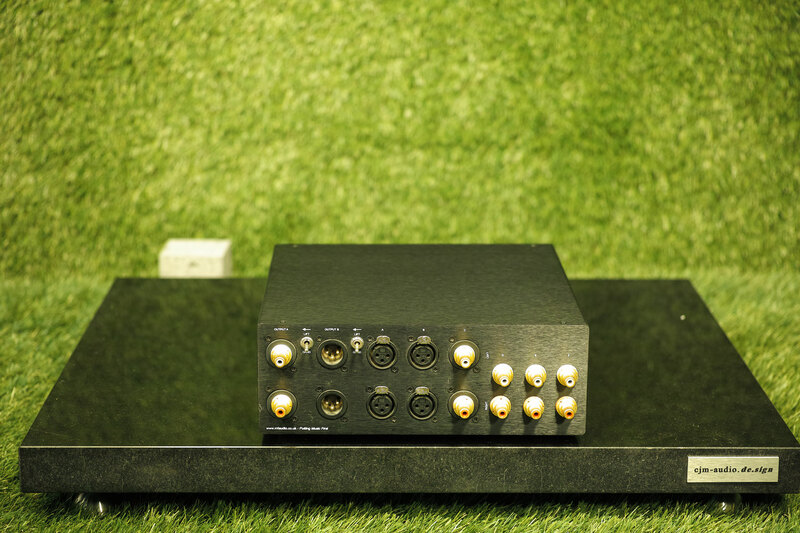 The transformers have a wide and flat Frequency Response of 10 Hz - 300kHz within a tolerance of + or - 0.5dB. 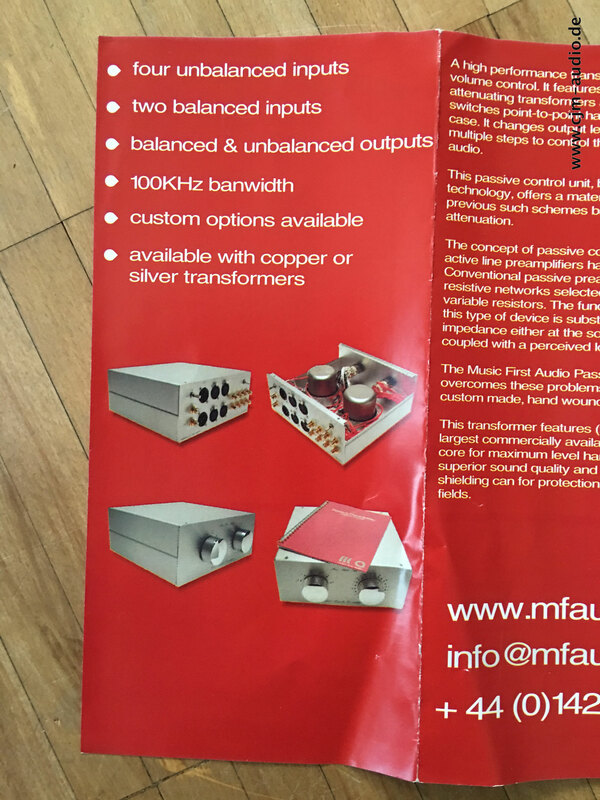 So far we have compared this against a variety of active pre amplifiers that cost several times as much and it has always shown up colourations in the alternatives, whether it be glare from a transistor pre or euphonic bloom from some valve designs. 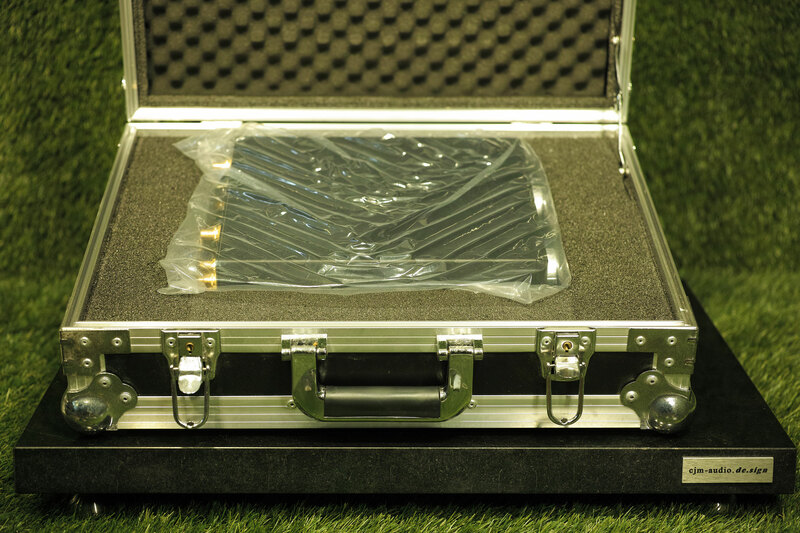 For just £1,600 we think this is an absolute bargain bringing unheard levels of transparency to almost every system. 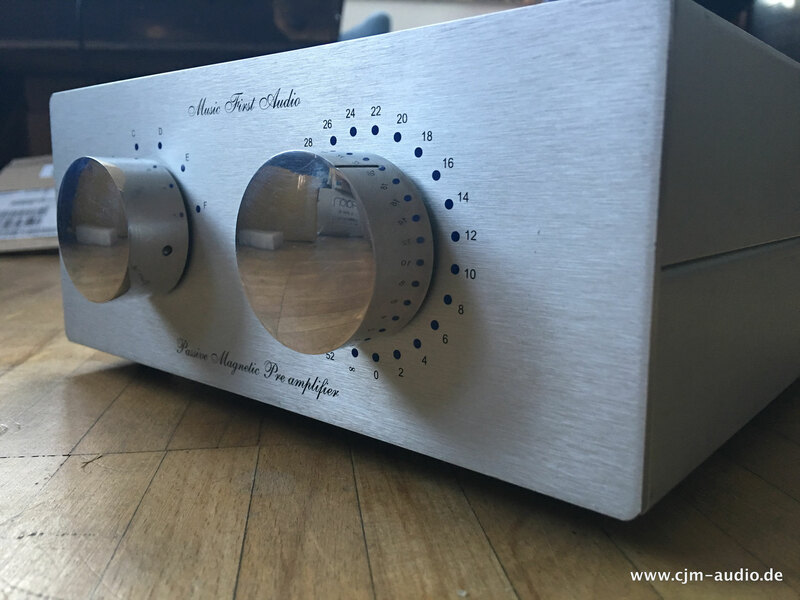 The sound is tremendous, with a flow to music that other preamplifiers fail to achieve. 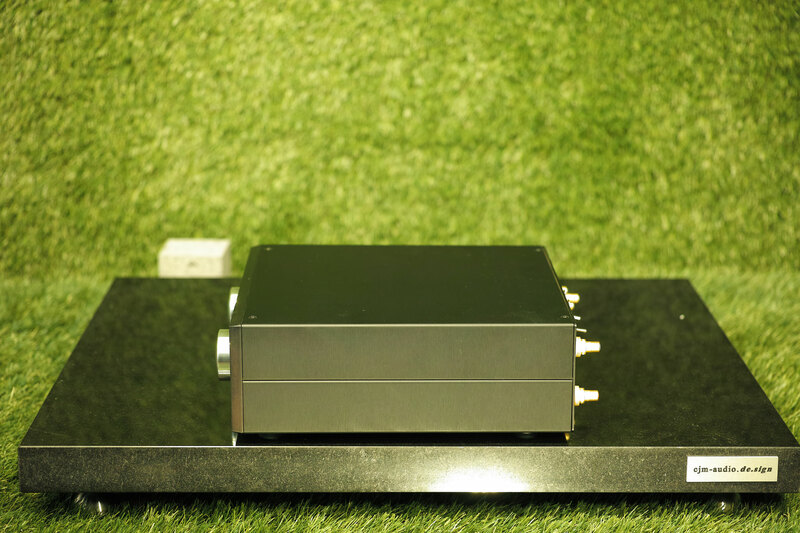 Allied to a holographic soundstage with excellent dynamics, this is a perfect match to any power amplifier. It is available in two versions. 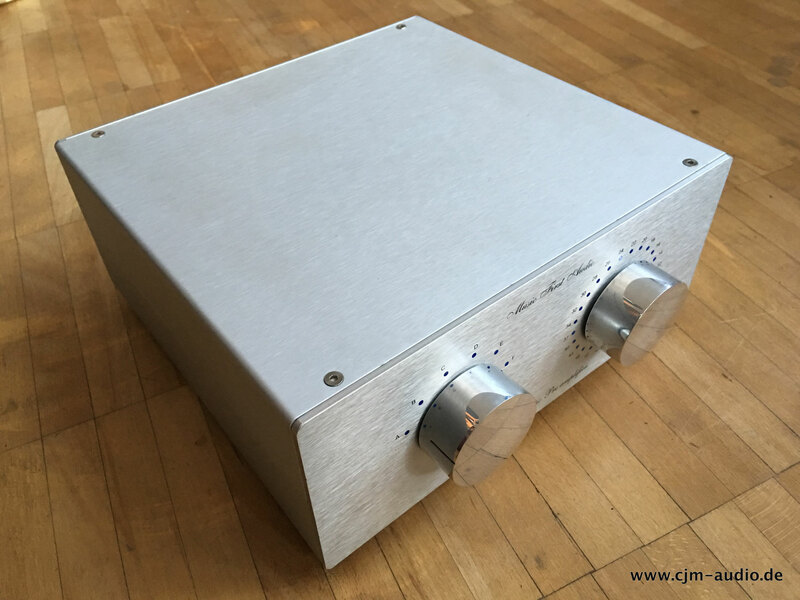 The standard model has copper wired transformers and wiring, the Silver version has all solid silver wiring and transformers. 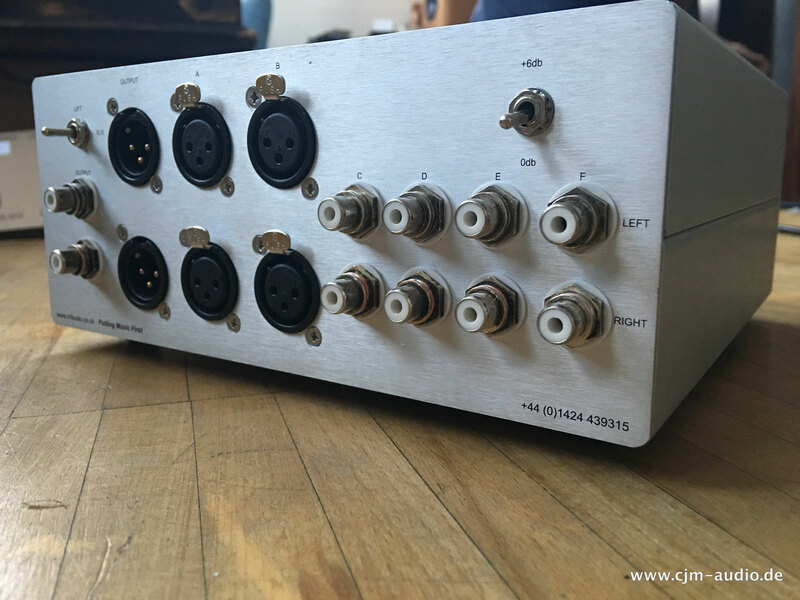 From the front the Silver version looks the same as the copper one , but internally the transformers (and all associated wiring) use pure silver wire instead of copper and the phono connectors are also silver plated. 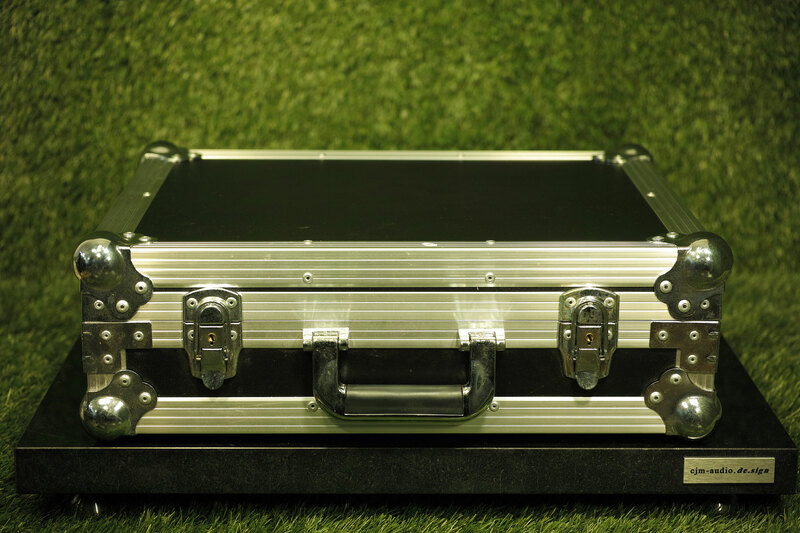 This brings an extra level of finesse to the sound, giving greater transparency and even more depth to the sound stage. 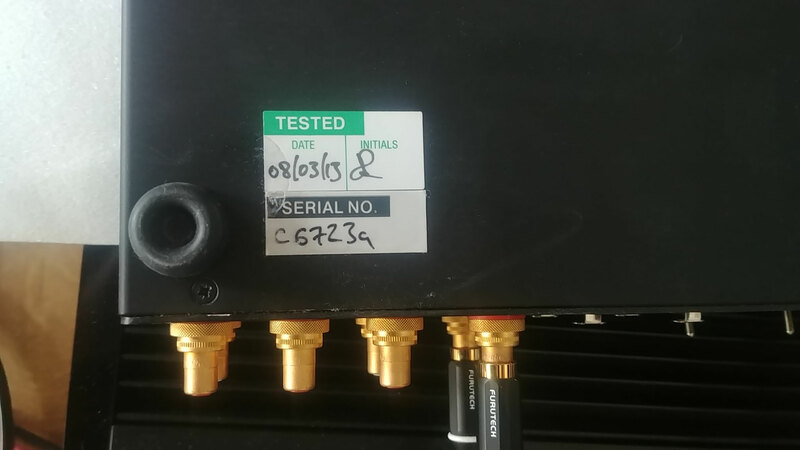 Those who have compared the sound of good copper and good silver cables will know exactly what we are trying to describe! 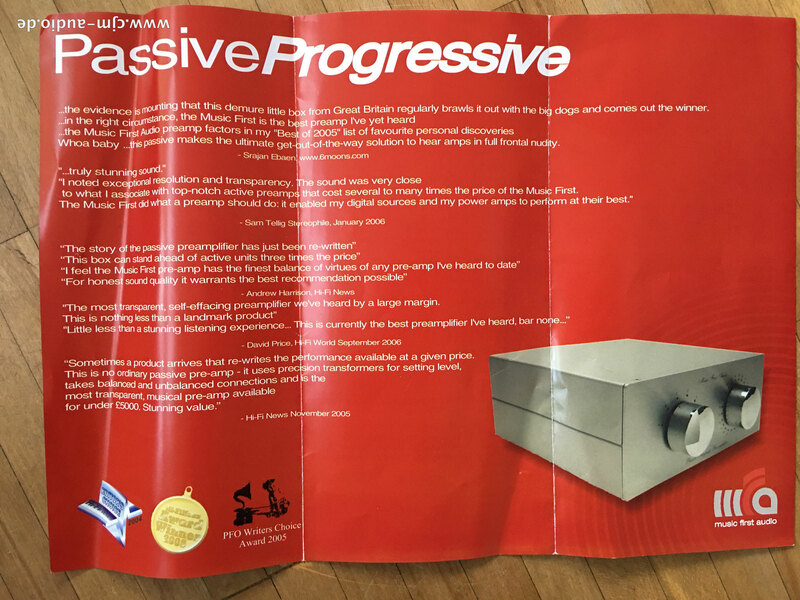 We particularly recommend it for no compromise systems, especially those that use silver wiring throughout, where the benefits are revealed to the fullest.